To celebrate Walking Dead coming back on TV a few weeks ago I made some Walking Dead cupcakes! Do you watch Walking Dead? I used cup cake toppers from eat my face (link). Compared to other toppers I have used they are great. I ordered from their eBay shop and I will definitely use them again! They are friendly, helpful and the shipping was super fast! I also thought their prices were fair for the items you receive. Add in all of the ingredients specified in the recipe. Mix up until fluffy, then add the red food colouring. Keep adding the food colour until the desired red colour is achieved. Place them into a preheated oven and cook for around 20 minutes or until risen and bouncy. Take them out of the oven and let them cool before decorating. When cooled add the pipe icing. You can add a small blob to stick the cupcake to or cover the top of the cupcake. Now sit and watch Walking Dead and eat you blood red zombie cupcakes! Hope you enjoy your zombie cupcakes! I watched a programme on the Animal Planet yesterday called “Too Cute! 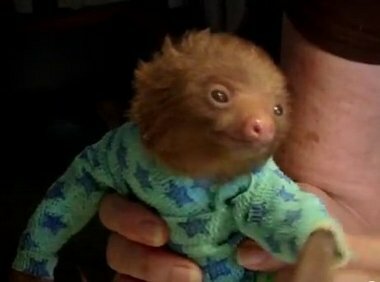 Baby Sloths”. They really were too cute! 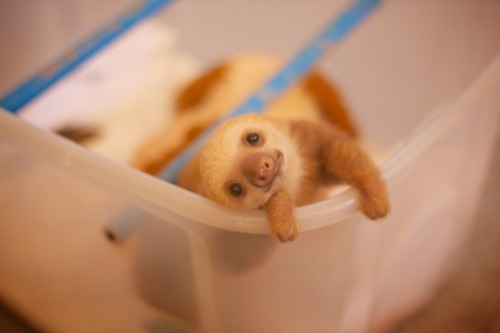 The documentary is based on orphan baby sloths cared for at the Aviarios Sloth Sanctuary in Costa Rica. I would love to go there and visit, they are the sweetest! Here are some of the pictures from the show (taken from Animal Planet website) and here is a link. You should definitely watch this programme if you get the chance! They will melt your heart. The sanctuary seems like such an amazing place and the staff do a great job looking after all of the sloths. 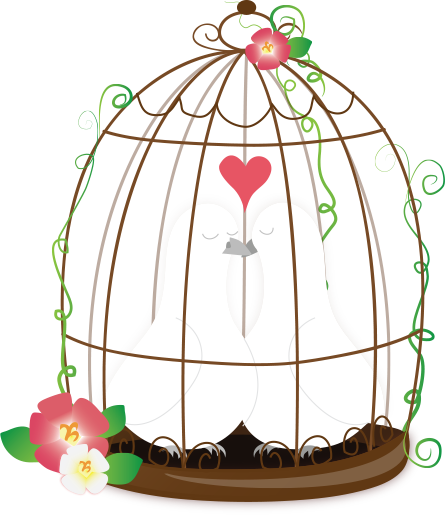 You can visit the Sanctuary website here. I sent them a small donation so they can carry on their amazing work. You can also donate to the worthy cause here. 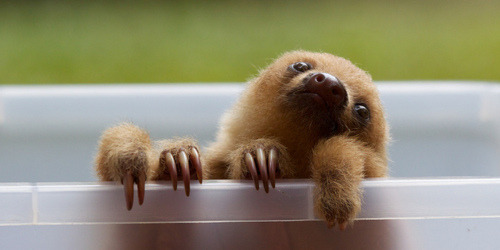 Do you like sloths? Have you seen the programme on TV?